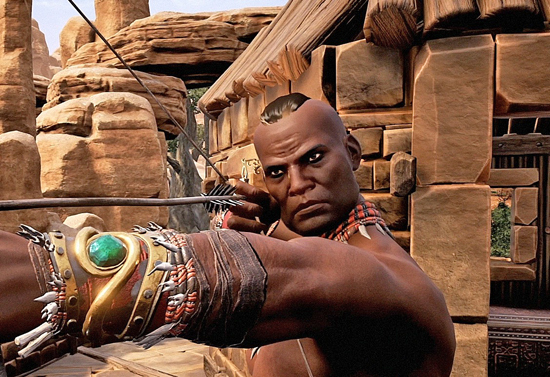 In the world of Conan Exiles, survival is more than tracking down food and water. Journey through a vast, seamless world filled with the ruins of ancient civilizations and uncover its dark history and buried secrets as you seek to conquer and dominate the exiled lands yourself. Start with nothing but your bare hands and forge the legacy of your clan, from simple tools and weapons to gigantic fortresses and entire cities. Enslave the bandits of the exiled lands to do your bidding by breaking them on the grueling Wheel of Pain. Sacrifice the beating hearts of your enemies on the blood-soiled altars of your deity to seize true power and glory. Summon the colossal avatar of your god and see them lay waste to your enemies and their homes. A brand new video for its upcoming open-world survival game ‘Conan Exiles’, outlining just what it takes to survive in the brutal world of Conan the Barbarian. ‘Conan Exiles’ launches into Early Access on the PC on January 31st 2017, with Xbox One Game Preview releasing in Spring 2017. Here players must strive to survive in one of them most brutal and savage worlds ever created; where scouring sand storms threaten to peel the skin off your face and raging enemies clash against your city walls to conquer your kingdom.